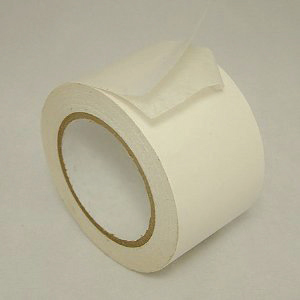 Double Sided Paper Tapes made from Crape paper and rubber adhesive coating has wide range of uses. The temperature resistance and application for this crape paper tapes is very wide. Can-Do’s double sided paper tapes have a 3.5 mil crepe paper carrier with a high tack rubber based adhesive. This product, with the paper carrier, provides more stability than adhesive transfer tapes. These tapes are recommended for splicing, laminating, and holding items in place.